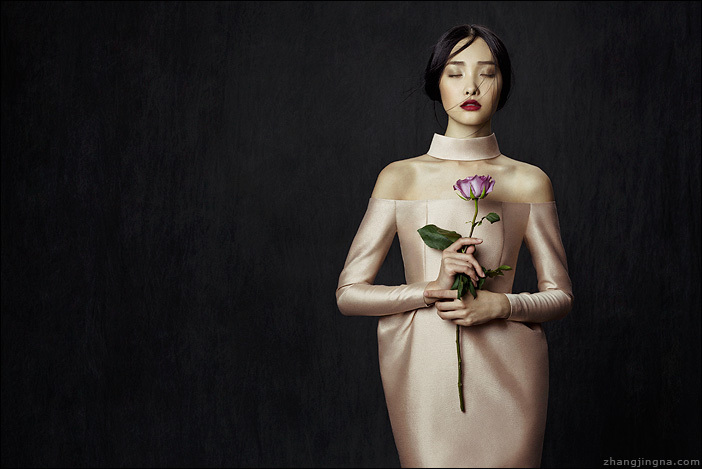 This is the fifth article in my Profoto Blog series. In my previous article on how to break into fashion photography, I mentioned a few lighting modifiers frequently used in the industry. In this piece, I would like to provide some examples of those modifiers used in my work and also share with you my thoughts on a range of other equipment that I favor in the studio. I hope you will find this article helpful! After renting equipment in and out of studios for many years, when I set up my own home studio, I decided to get monolights. Each of these lights is a single unit, making it easy to carry, set up and pack away. The lower price point also makes them more affordable, thus allowing me to have more. So I got 4 of the D1 Air 500s. Since I can shoot most of my standard fashion, beauty and portrait work with monolights, they are my go-to lights at any time. – They have shorter recycling time and higher flash power. – The heads weigh less, making the set safer when fixing lights high up on a boom. – A central generator allows for easy control of different lights from one location. – The output from each head is flexible, all based on the generator’s power and input settings. 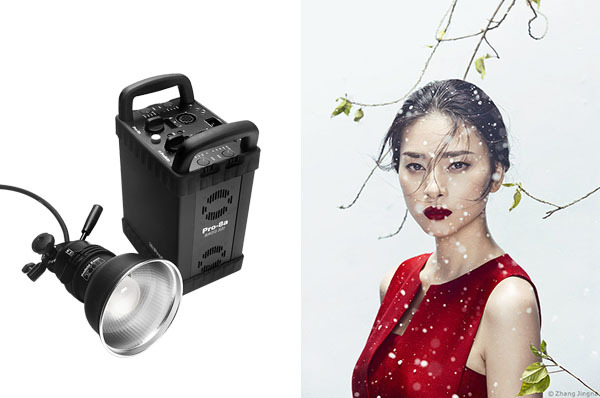 Depending on the style of a shoot’s direction, I rent power packs as needed for the images. From time to time I use tungsten/hot lights as well. 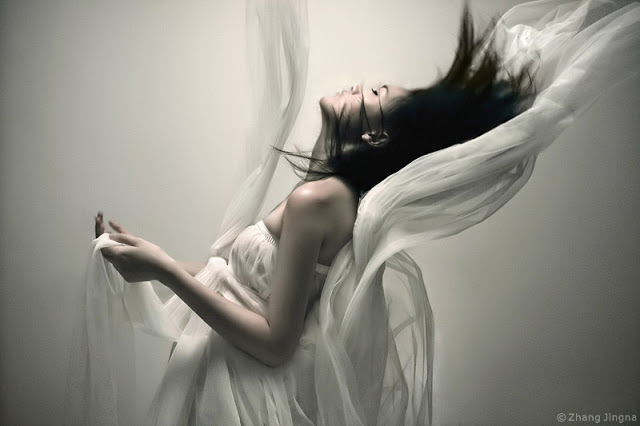 When I first started photography, I shot all my images with a 650w Arri hot light. There is something very raw and beautiful about shooting in stillness without flashes firing away. 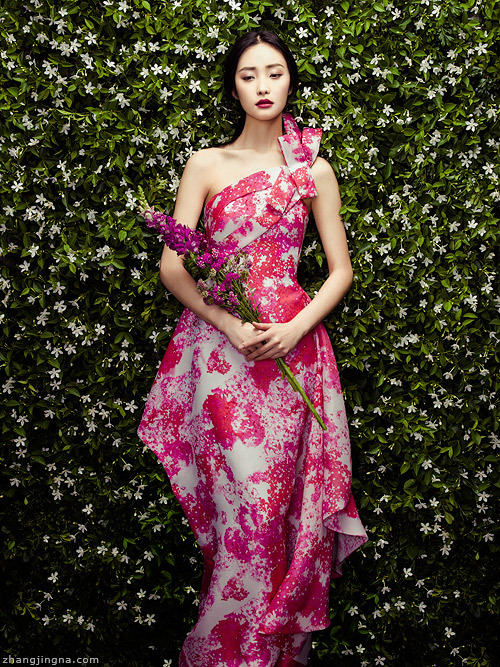 It also allows you to see exactly how the light is painting a picture with the model as you shoot. I didn’t bring my old light with me when I moved away from Singapore, but it’s definitely an item I’d like to add back into my studio setup once I figure out more shelf space in my new place. 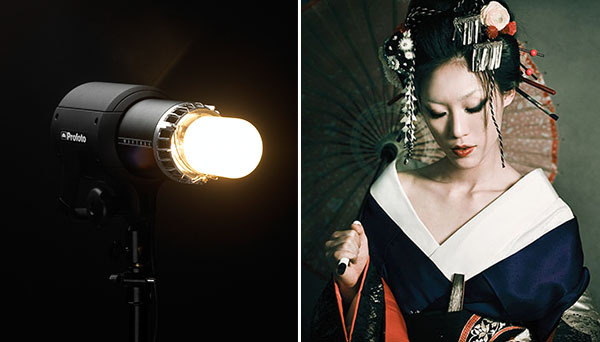 Moving on to lighting modifiers, I’d like to introduce you to six different types, starting with the beauty dish. 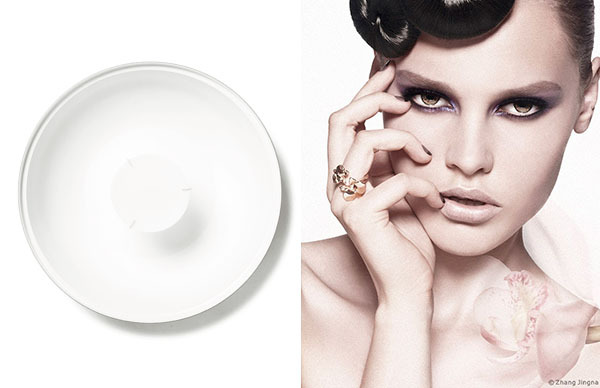 The beauty dish is an essential item in fashion and beauty photography. It is interesting in that it delivers a quality of light that sits somewhere in between the hard and soft. 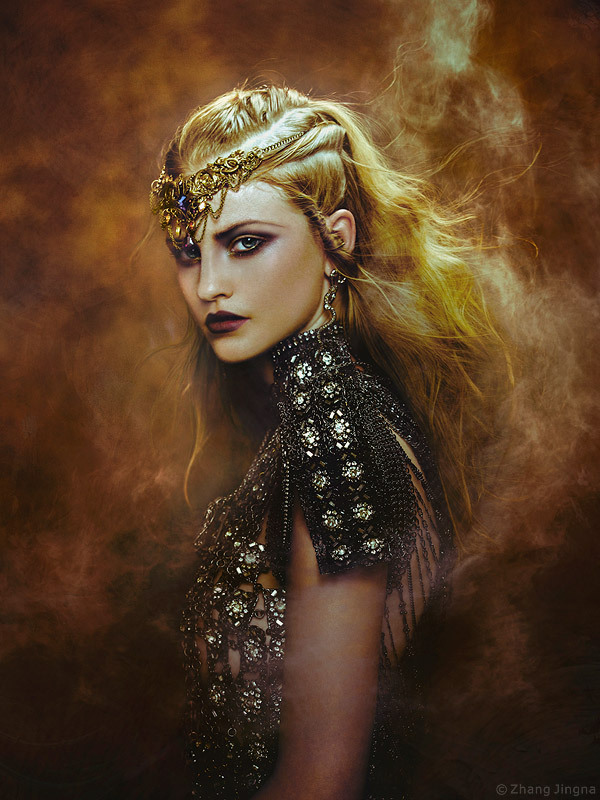 Images shot with the beauty dish give skins a beautiful sheen and glow, and like a hard light, it creates great contrasts for sculpting features, but without making shadows look severe along the edges. This makes images strong, but without becoming overly harsh. I own a silver one myself. It brings a brighter sheen to the skin texture compared to the white version, and when I need to use more matte-looking light, I rent the white or add a diffuser to the silver. The giant parabolic umbrella is a very popular modifier for fashion and commercial photography, and is wonderful for portraits as well. Due to its large size, it creates a beautiful, even lighting over a very large area. 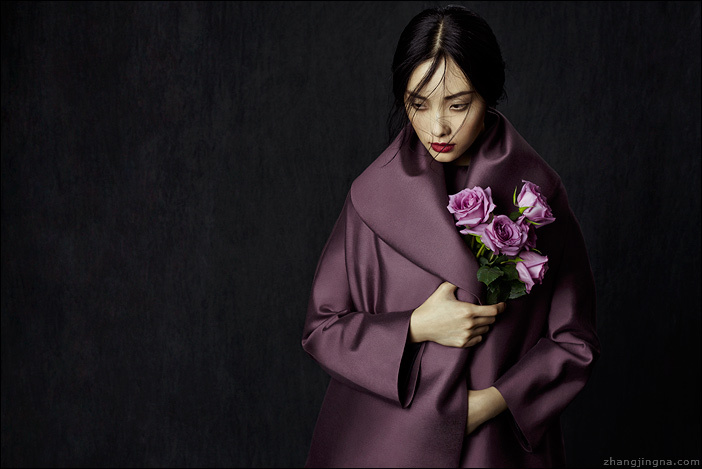 This spread gives a gorgeous touch to photos, and is perfect for photographing models full-length for fashion and commercial photography. This is important because it maintains accurate colors and details throughout the whole image, while with smaller modifiers, the light drops off quickly in the lower half of the frame, creating tonal shifts and murky details in lower portions of the model’s body. I do a lot of personal work in my home studio, and because space is limited, I can’t always keep softboxes in their expanded and assembled state for storage, as is ideal. (Frequent assembling and disassembling cause wear and tear and damages to softboxes more easily). So umbrellas are the often-times better alternatives, as they are convenient to setup and break down. Personally, I have the Umbrella Deep Translucent XL, Deep Silver XL, and Deep White XL. They are all amazing. 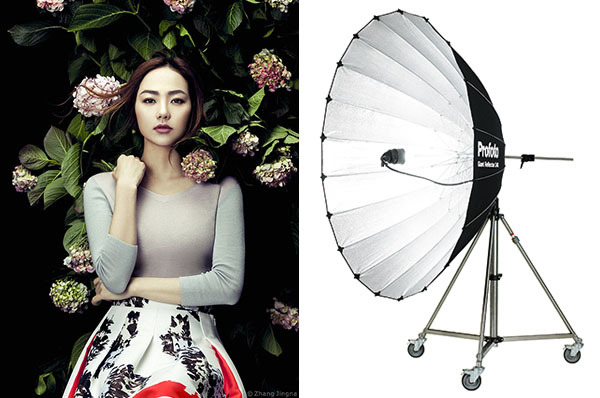 I use them with the Umbrella XL Diffuser and Backpanel to easily turn each into a softbox. – The Umbrella Deep Translucent XL gives an almost window-light touch to the pictures. There’s a clarity that I love when shooting with them. – The Umbrella Deep Silver XL is stunning for fashion and beauty. It gives a wonderful contrast and shine to skin and hair which is great for creating striking images in these types of photography. 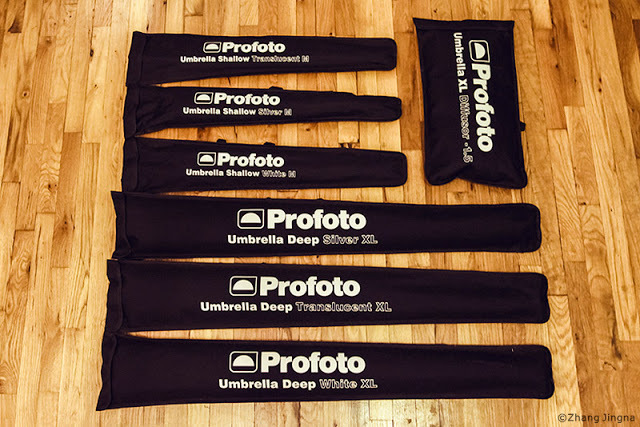 – The Umbrella Deep White XL is pretty much a large white softbox to me, used interchangeably with my octabank. It has a beautiful, even quality that’s great for my more painterly images. The octabank is probably my most favorite lighting modifier. 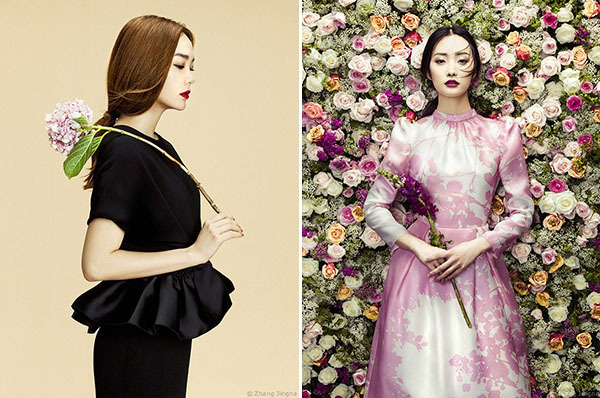 It is highly versatile and can be used for various types of fashion, beauty, and portrait shoots easily. As mentioned previously, I use this a little interchangeably with the XL umbrellas. But when I need something sturdier and with more ability and options for precise light control, I definitely use the octabank. With this lighting modifier there is a beautiful, even texture to the light and shadows. And unlike square or rectangular softboxes, the shape of an octabank creates a more rounded, beautiful gradient in the background when used without background fills. 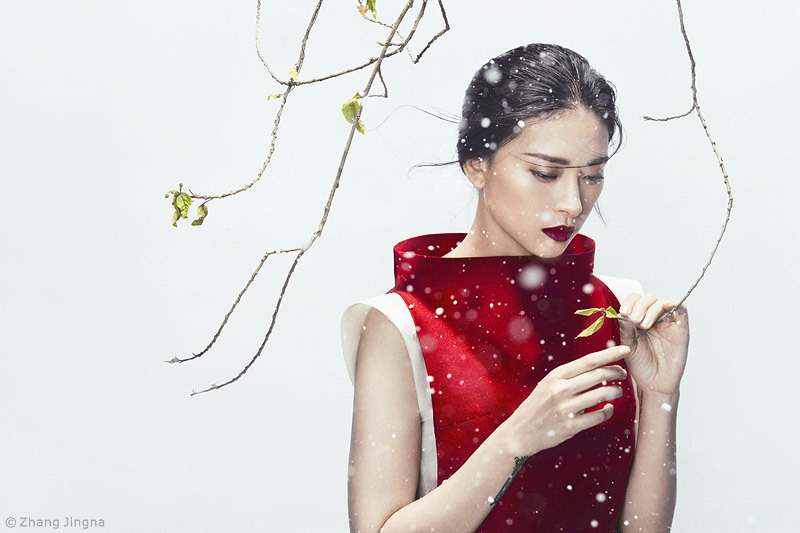 It also gives you a rounded, natural-looking catchlight in your subject’s eyes. I favor this for my painterly-looking personal work the most. As you can see with this list, I shoot with softer modifiers most of the time. But once in a while I need a crisp-edged lighting that emulates sunlight. For those shoots I use the magnum reflector. Before I had access to magnum reflectors, I used standard reflectors that often came with strobe rentals. The magnum produces a more even light, but the standard reflectors are easily flexible for when starting out. I used those almost exclusively in the beginning, mostly because I was too intimidated by softboxes and the complications of setting one up (try it, don’t be afraid!). 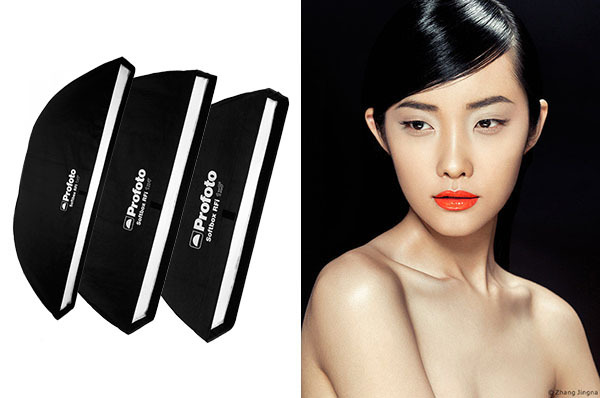 Profoto 1x6' strip softbox, 1x4' strip softbox, 1x3' strip softbox. The last lighting modifier on my list is the strip softbox. It’s generally used as a supporting modifier in fill lights, rim lights and top lights, but sometimes I use it as a key light too, if I don’t want a spread that’s too large across the whole image. 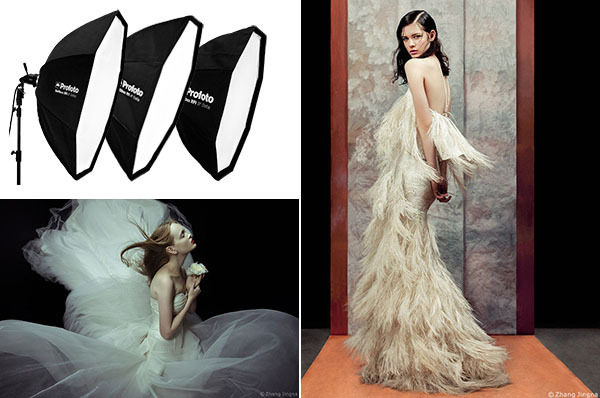 The versatility of the strip softbox makes it a staple in my lighting setups. 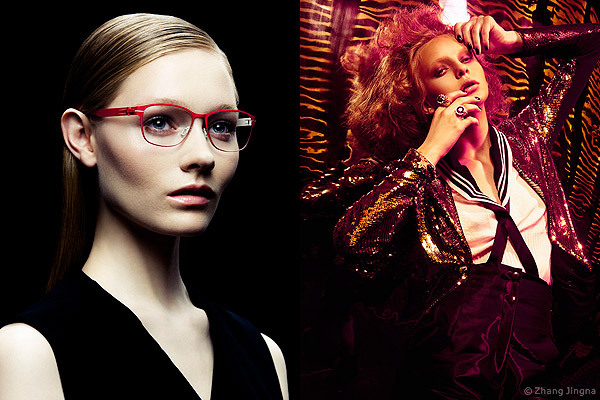 Above are some examples of it used in hair and fill lights, in both my personal and commercial work. – Flags, grid and honeycombs: For controlling the spread and directions of lights. – Filters and color gels: To change a light’s color. – Cinefoil: To fine-tune, shape, and flag spills from lights if necessary, very lightweight and malleable, love them. – Collapsible reflectors, black and white foamcore and v-flats: To control how light bounces from the environment back to the model. Take time to experiment with as many modifiers as you can. Use different items, standalone and in combination with one another. In time, you will no doubt find your favorite setups and come up with your own signature lighting style. Examples of using different lighting modifiers in lesson 2: Equipment and Lighting of my course. To see a more in-depth version with video examples, check out the Equipment and Lighting episode of my course, Artistic Portrait Photography. I hope this article has been helpful, thank you for reading and good luck! Want to learn more? Check out my online course Artistic Portrait Photography, or subscribe to my Patreon, where I create exclusive new contents on a monthly basis. 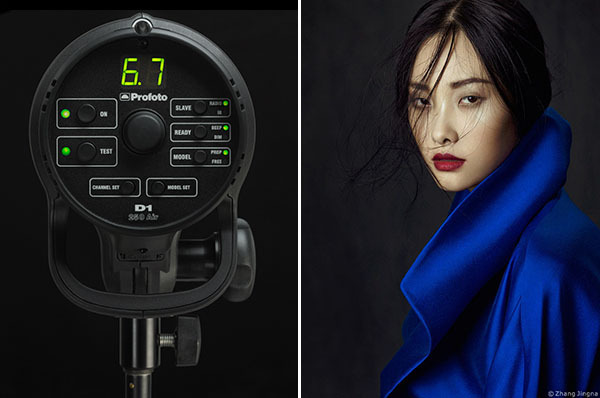 Article first posted on the Profoto Blog on 21st April, 2015. Some of the product links in this post will bring you to Amazon or Adorama, where I'll get a small referral fee should you choose make a purchase. This helps with the time spent on articles and the running of this blog, so please consider supporting the website. Thank you!